This 1900 Aikin Lambert is the “Poinsettia” #2 eyedropper-fill straight-sided in repousse gold-filled “Poinsettia on hand hammered background” pattern (very rare). Aiken Lambert was a NYC based manufacturer founded in 1864. They started making pens in the late 1880s, all high quality. 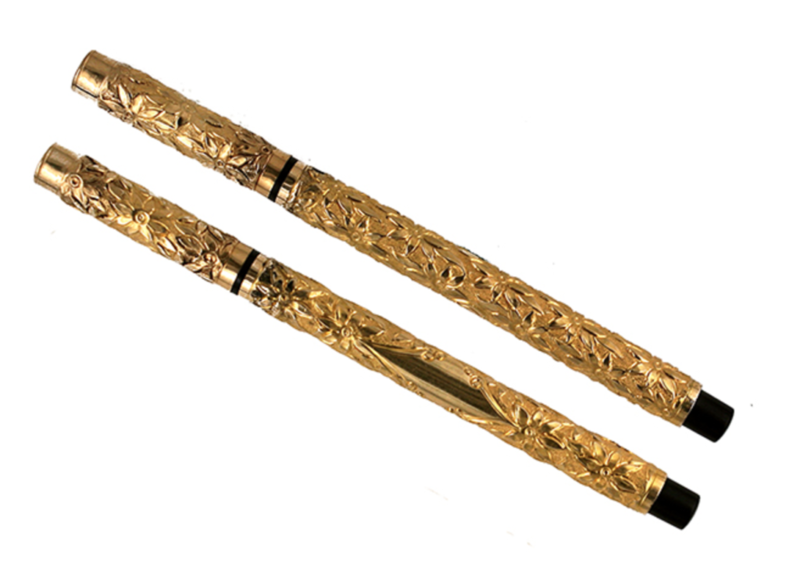 They supplied gold nibs to Waterman who, in 1915 acquired the company to ensure their continued supply. A wonderful example, with an unengraved barrel indicia and no brassing evident anywhere. Extra-fine, semi-flexible nib. Tiny signs of wear at the smooth metal just at the top and bottom of the barrel, otherwise near mint+. It’s doubtful you’ll ever find a better example! Item #1 in Catalog #83. 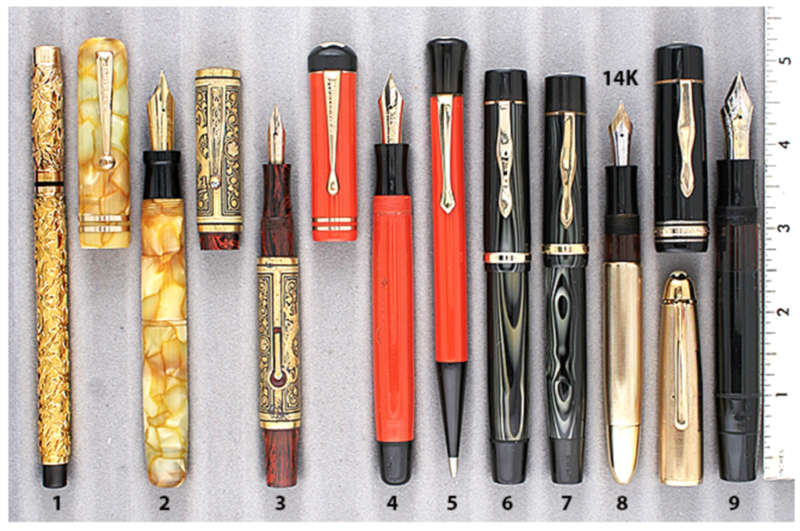 This entry was posted in Vintage Pens and tagged Catalog, Catalogs, Extraordinary Pens, Fountain Pens, Go Pens, GoPens, On Point, Vintage Fountain Pen, Vintage Fountain Pens, Vintage Pen, Vintage Pens. Bookmark the permalink. Follow any comments here with the RSS feed for this post. Post a comment or leave a trackback: Trackback URL.